As PF youths on the Copperbelt, we find it strange and uncalled for with the continued allegations of corruption in government which can not be proved. It is ridiculous, that we have leaders that have preoccupied their minds with State House. We know that some people still can’t believe that Leadership comes from God. There is no way that allegations of corruption and an evil crusade against President Edgar Lungu will take them to State House. We have seen some people yapping alledging that there is to much corruption in government without any proof. Some have continued to speak without thinking and looking at own cloths. We will not think low and join this duty kind of politics as youths just for them to gain cheap political mileage and sympathy because we know a lot about them and we should be above board. Now to Honorable Harry Kalaba, if you are a genuine and true citizen, take your evidence of corruption to the investigative wings of government. We had alot of respect for you and we expected you to do better than joining the politics of jealous and bitterness. Mr Kalaba, you were minister for four (4) solid years, what have you done for the PF youths? Just mention 5 here on the Copperbelt. As Copperbelt youths, we have not seen or benefited from you being a minister in the PF government. You should be ashamed for that because you are a youth. You have resigned from government and have accused President Lungu of corruption. 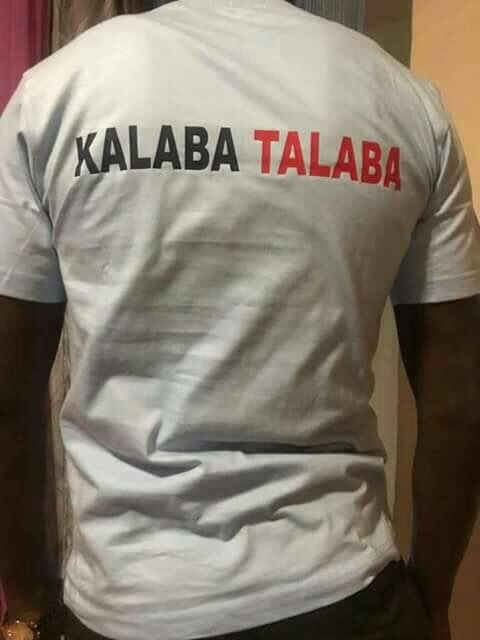 Mr Kalaba, you can’t fool us. We as PF youths on the Copperbelt want you sir to go further and resign as PF Bahati Member of Parliament. You say, you can’t save under the leadership of President Edgar Lungu in government . But remember that President Lungu is also the President of the party PF. So we challenge you to resign as PF MP. It is selfishness, egocentric and hypocritical of the highest order to say, I can’t eat the Chicken, yet I want to eat its eggs. As PF youths on the Copperbelt, we are asking the top party leadership to discipline Mr Kalaba. As youths we don’t want to see selfish and disloyal leaders within the ranks of our party. The youths of the Copperbelt will not take it lightly and allow selfish centred individuals to derail the vision of President Lungu to the Zambian people. We know his agenda is to derail President Lungu. You have seen what the President is doing and it has affected your ambitions and what ba Kalaba has done happened in the GARDEN OF GETHESEMAN. In conclusion, we ask the Party Central Committee to expel Mr Kalaba since he claims to be working with corrupt people. As youths we are running out of patience with such selfish leaders. As youths we expect the central committee to act within the shortest possible time.